A unique gathering spot was designed for this 15-acre private school campus in Studio City. 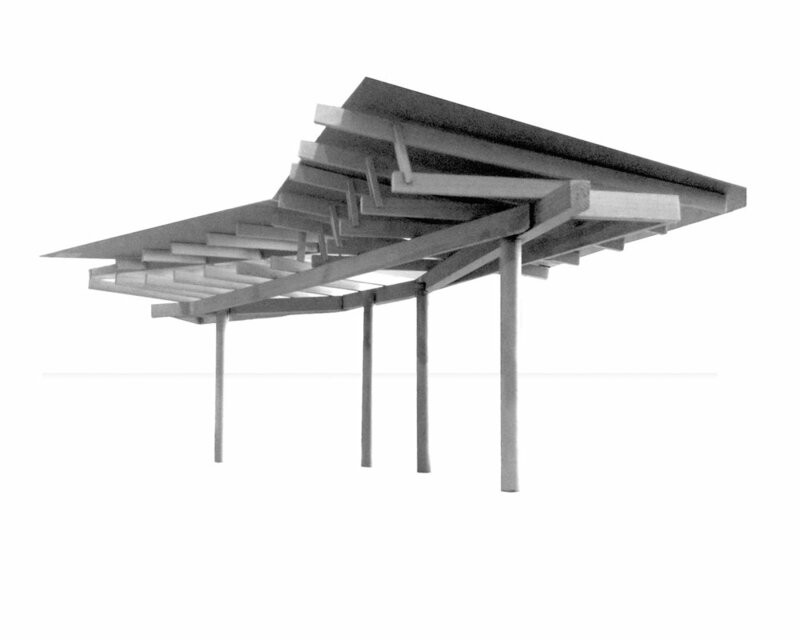 Known as 'The Grove', GSLA designed a multi-pitched roof shade pavilion set in a grove of Arizona Sycamores surrounded by a dense hedge of Pacific Wax Myrtle. The ground plane was designed as a field of decomposed granite that allows students to configure loose seating arrangements under the dappled light of the Sycamores and the unique shade patterns cast from the pavilion structure.